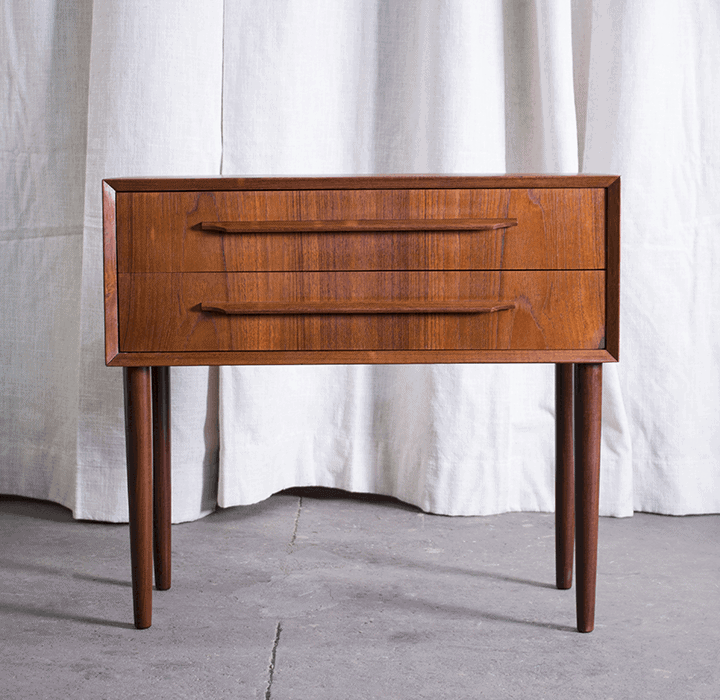 Three Drawer Low Boy Dresser is another of the recently imported Danish dresser that we have in the store. Refinished and repaired it in our shop, its ready to store clothes, bedding, linens or almost anything else. This is a utilitarian yet elegant piece. Condition: Good vintage condition, consistent with normal use and age.